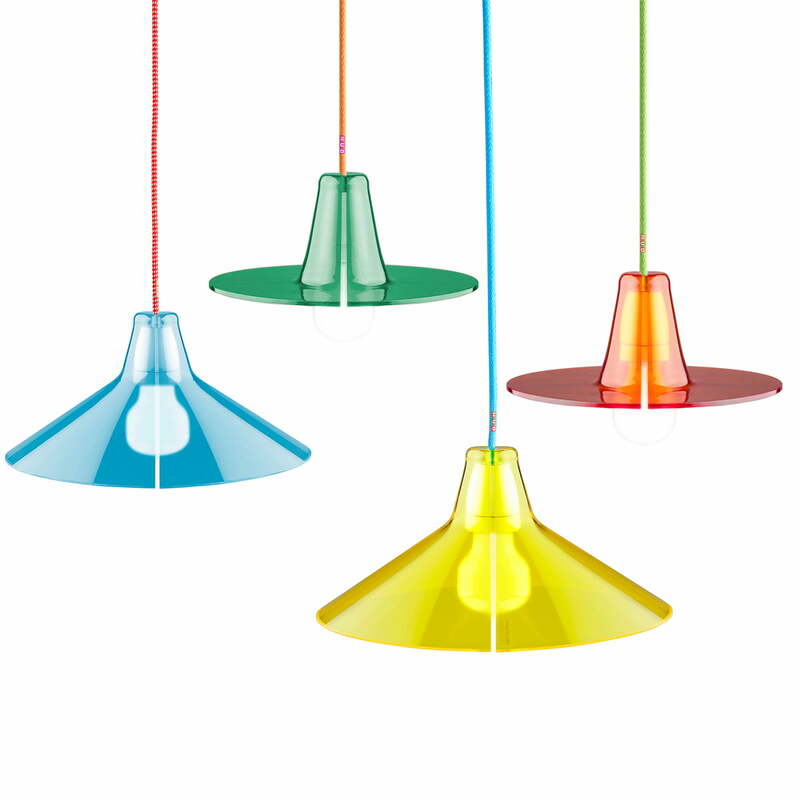 The plane pendant luminaire Jupe by Skitsch makes every banal light bulb a true design object. 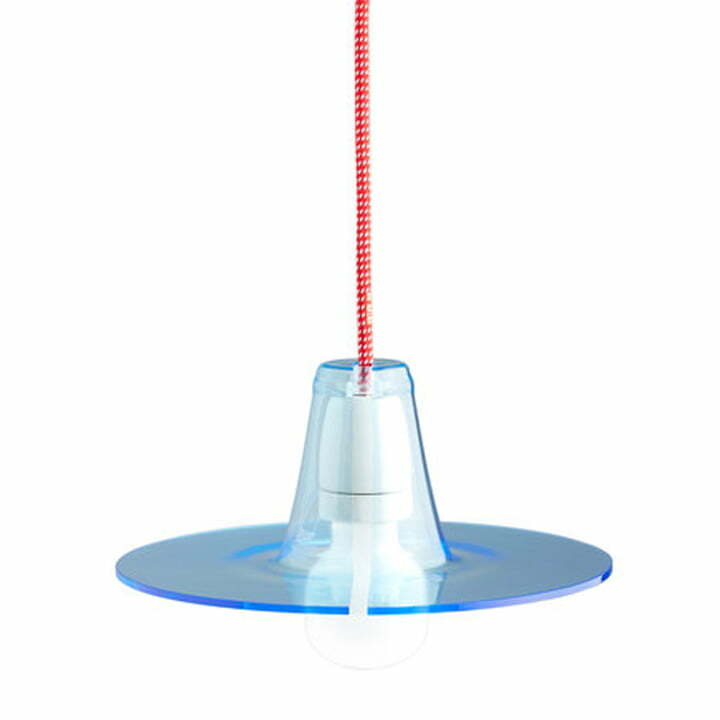 The overcoat looking like a skirt consists of plexiglass; it is placed on the hanging light bulb and is available in various colours. 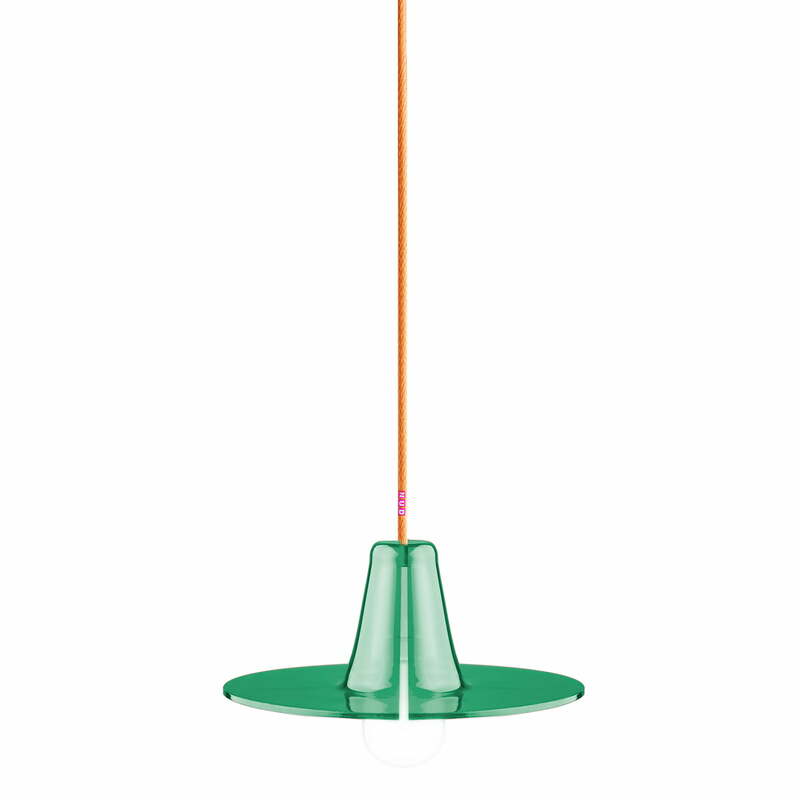 Thanks to a slot in each lampshade, it can be put quickly and without extensive installation over the bare bulb, just as easy as taking a skirt on or off. 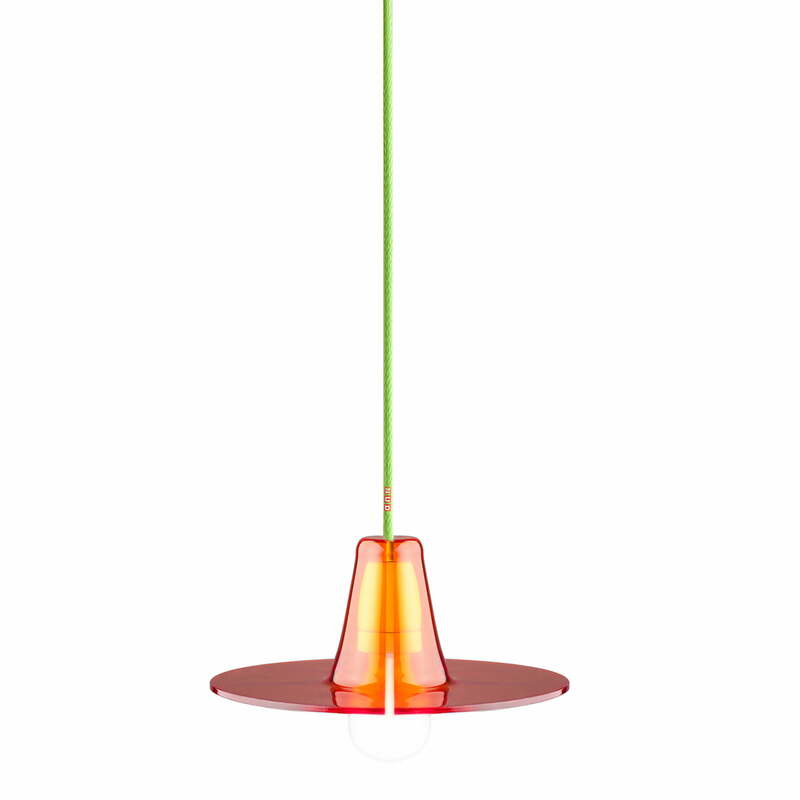 This way, a timeless lamp which adapts to any interior thanks to the manifold colour range, is quickly made from the former temporary solution. Due to the translucent shade, the light bulb is still visible and refers to the look of the lamp before the screen has been placed over it. The plane lampshade doesn’t cover the light bulb completely, but lets it hang out by a good third. 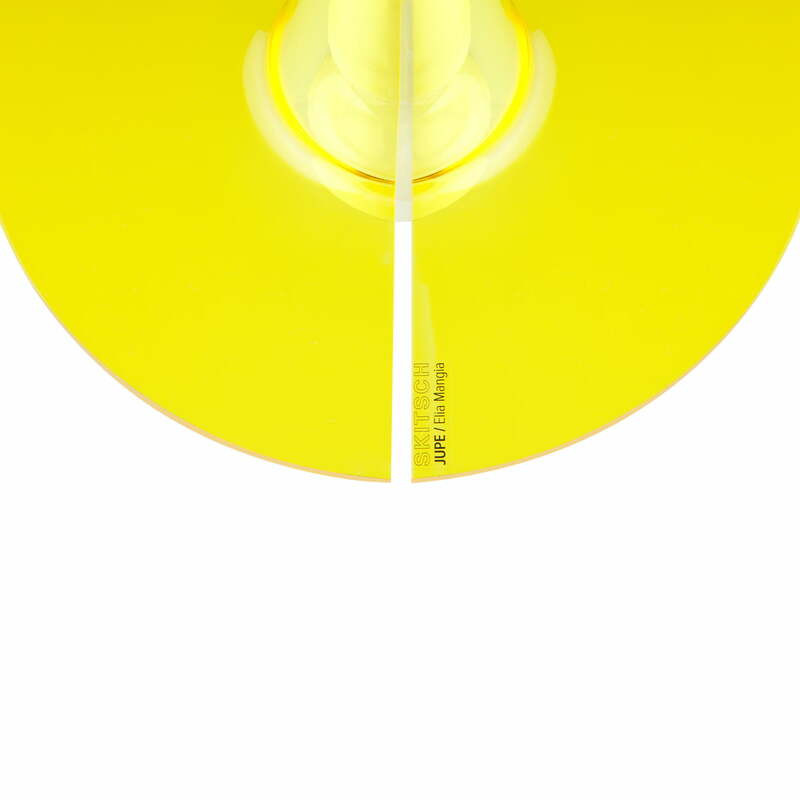 The lampshade is available in many different colours. Neither a cable nor a light bulb is included. Please note: Socket, cable and light bulb not included! 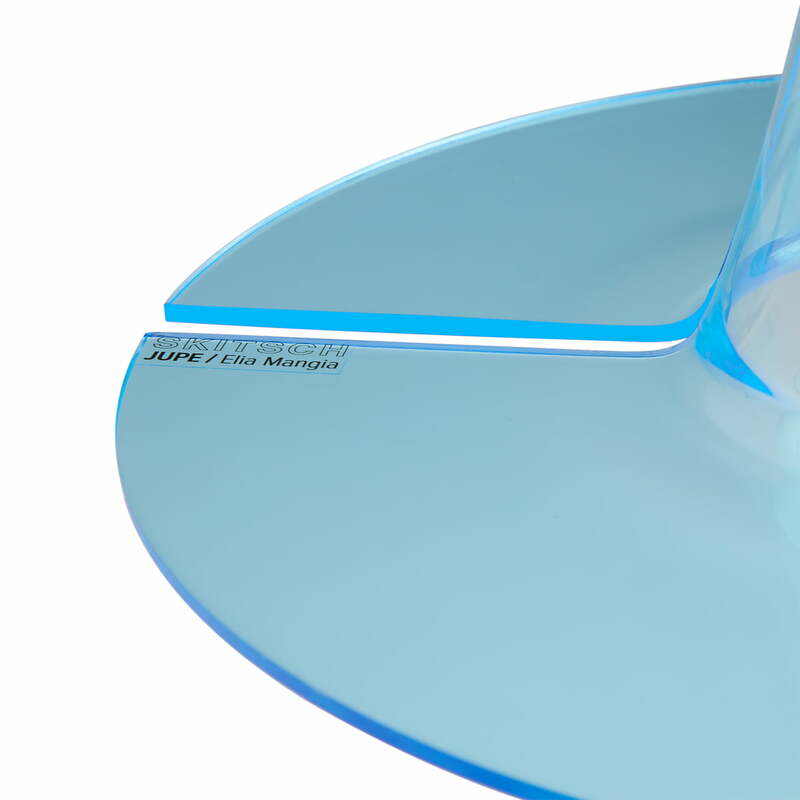 The shade that look like a skirt is made of plexiglass and is available in different colours. 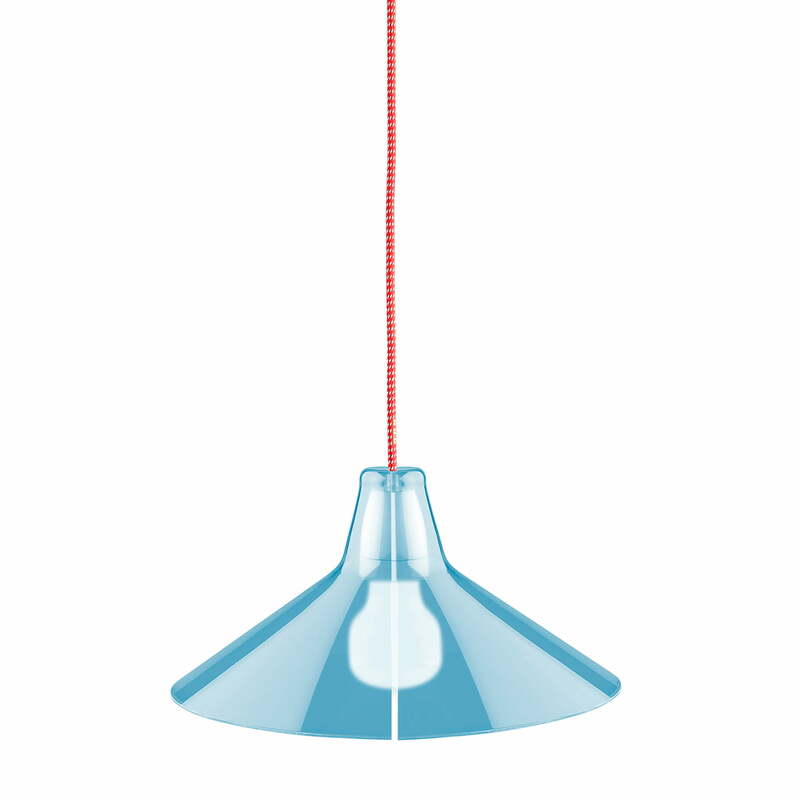 The shade is simply skipped over the hanging light bulb, thanks to a side slit. Due to the translucent shade, the light bulb is still visible and refers to the look of the lamp before the screen has been placed over it. Design by the international design team of Skitsch.